Figure 4.1 — Optical beams and optical components. 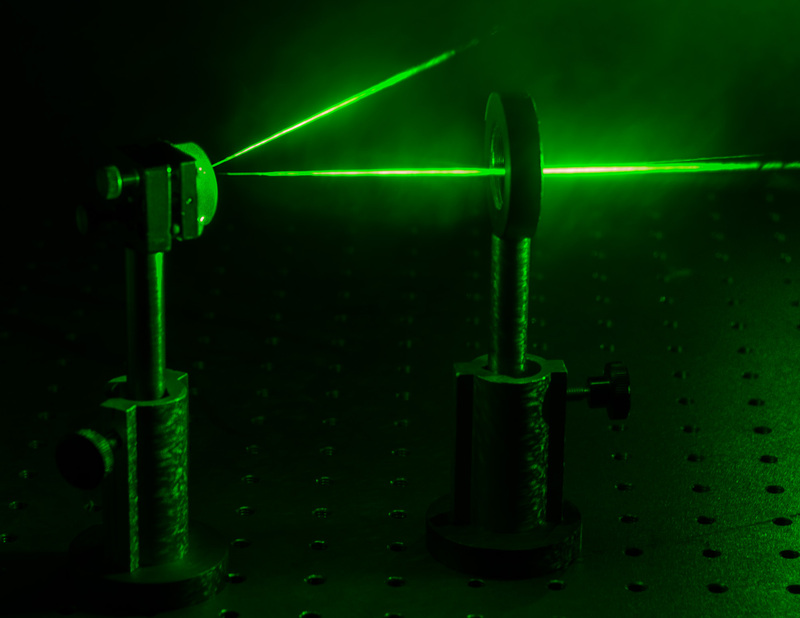 A collimated Gaussian laser beam is reflected by a mirror and focused by a lens. Picture credits: Marco Grasso and Alessandro Magazzù.